Paul Carmody, @macjasp on Twitter, has created an iPhone App called ShrinkURL, (Site, iTunes) which can shorten url’s using the tinyurl.com service. 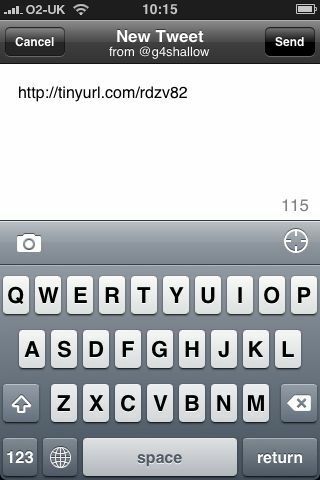 and voilà the shortened url is copied back to the iPhone clipboard. For me this is extremely useful in order to shorten links ready to paste into Tweetie. Of course some people will have personal preferences on which shortening service they use such as bit.ly, is.gd etc so a user selectable preference would be an added bonus, something that the developer has stated will be coming in a future update. 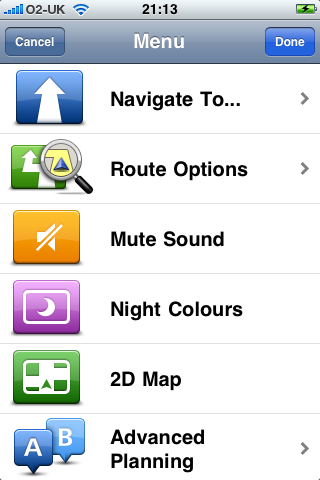 TomTom for the iPhone was finally released in the UK today. I have been looking forward to this since they announced it as it would make sense to just have one device. I bought the European version as we holiday in France so it will come in handy. After taking an absolute age to download and sync I launched the app. 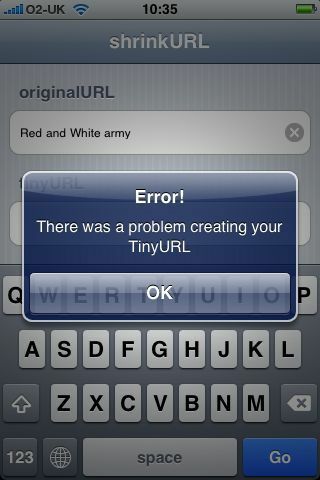 Clicking on the iPhone application gives this splash screen. 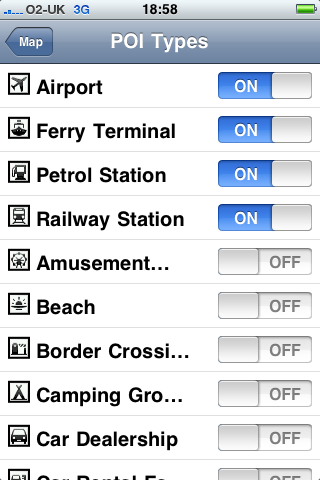 You then have the option to select Home, Favourite, Address, Recent Destination, Point of Interest, Postcode, Point on Map, Contact. I tested the Postcode and Address options. When you first select this you are prompted to select a country. 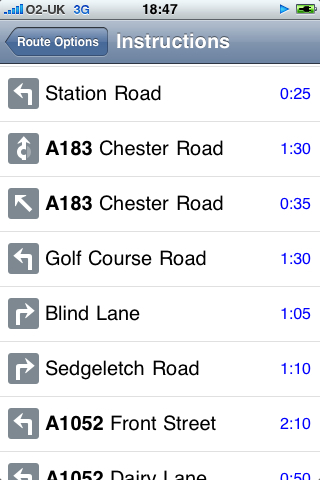 The UK postcode selection supports the full 7 character postcode which I think is essential in a navigation app. Once you enter the Postcode if the street supports numbers you will be asked to enter the number otherwise it will automatically plan your route and present you with a summary. Once you tap this option you are then presented to enter the city where you want to go to, once you enter that you are asked to enter the street or crossing. 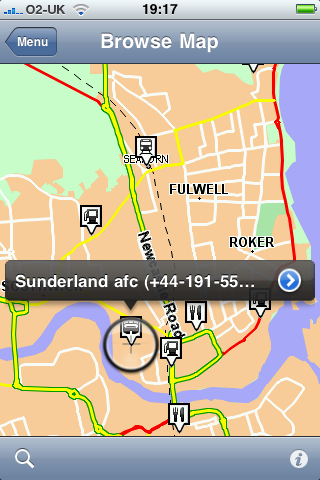 As you type the street it will show you the streets along with the first part of the Postcode. It works incredibly well. 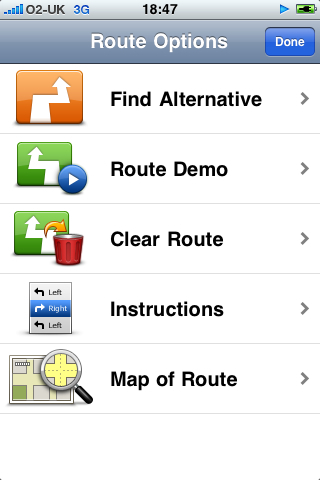 Clicking on the Instructions shows you a text version of the route that you will be directed on. 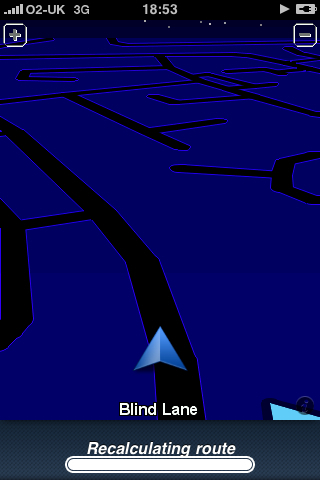 Example of the navigation screen in Landscape mode. With regards to POI, the majority of them are turned off which is probably a good thing as there are loads of categories. 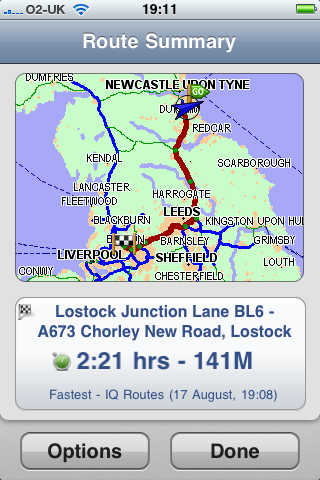 I only tested the actual navigation on a short journey to Penshaw and then back again. What I did find is that the GPS positioning can be quite slow in keeping up or pops you onto a road which is nearby thus causing the application to re-route you which can be a bit of a pain and in a place that needs you to take several junctions one after another I can see people taking the wrong turning or missing it completely. 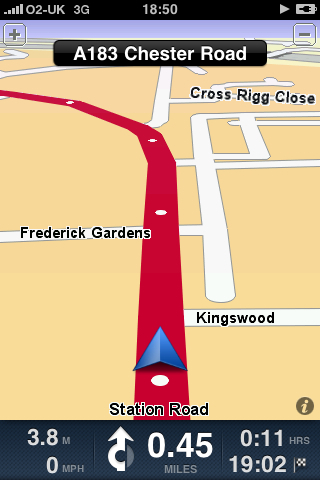 For example in this screen grab I had actually turned right just before the arrow and it thought I had gone straight on. Now, of course this could be due to the position of where I had the phone, mounted in front of the radio (I plugged it into the LiquidAux Deluxe) and not on the dash which may help (will test this with a screen dock tomorrow). 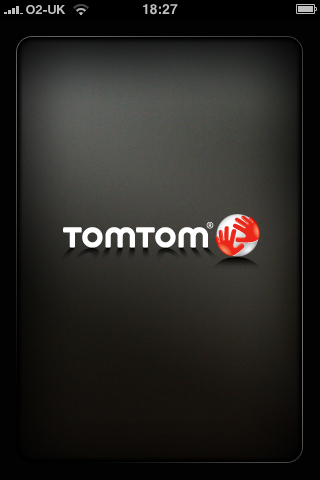 Speaking of the LiquidAux the TomTom application will actually sound the spoken words through the device and therefore via my car speakers (just wish voice calls would do this!). I suspect that when they release the car kit this will cure the GPS lag and keep it in the right position but only time will tell. Also, where is the Live features? With the iPhone having 3G, GPRS etc and with pretty decent data plan in the UK on O2 I think that this is major oversight, or maybe they will just use it to inject more interest in the app in future updates. A quick note about playing your music at the same time. The music simply cuts out, reads out the direction then music comes back in. Personally I would of preferred that the music volume was turned down a touch and the direction overlayed but I can understand why it goes silent first. 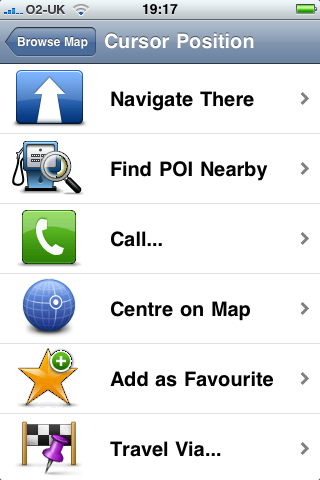 I will give the TomTom for iPhone a better run out over the next couple of weeks and report back my findings. Just need to locate some tutorials (what sites do people suggest?) so that I can get the best out of it. I plan on using it to create banners for a new website I will be managing – more on that to come. I love the Top Sites feature of Safari 4 Beta but what I wanted to do was to arrange this to show my favourite and most visited sites. After arranging the ones in the window and pinning the ones I want at the top I started deleting the ones I did not want there in order to find the ones I do. You can also do this by dragging a Bookmark too though it does not seem to work with RSS bookmarks.